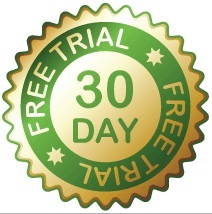 Leon's Planet is an affiliate of PTG (Perpetual Technology Group). 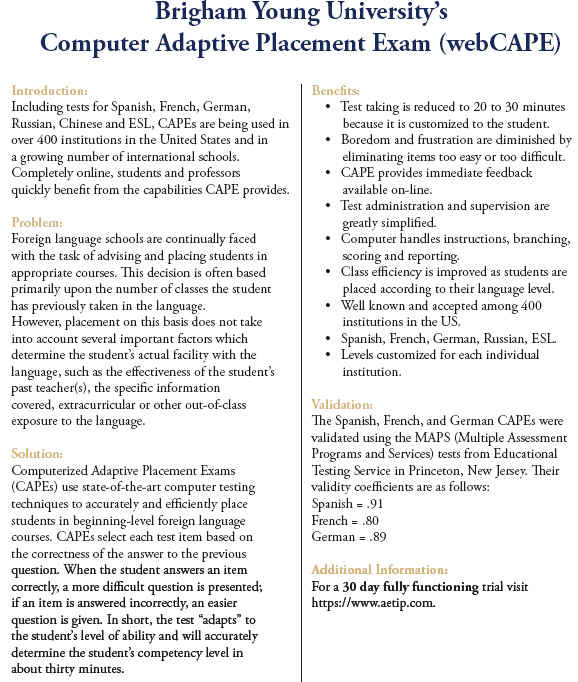 The Brigham Young University's Computer Adaptive Placement Exam (CAPE) and webCAPE, including placement tests for Spanish, French, German, Russian, Chinese, and ESL are being used by over 400 universities in the United States of America (USA), and by over 200 institutions outside the USA. WebCAPE is now completely online! You could call it an "IBT" or Internet-based Test. Foreign language schools, colleges, institutions, and academies are continually faced with the task of advising and placing students in appropriate courses. We have the solution! CAPE or WebCAPE is the solution to the problem. How does it work? It works by giving the student a question. If the student gets it wrong, an easier question is given. If the student gets it right, a more difficult question is given. In less than 20 or 30 minutes the student's level is assessed and results are given immediately. 1. Test-taking time is reduced. 2. Boredom and frustration are eliminated for both examiner and examinee. 3. Immediate feedback is given. 4. Test administration is simplified and uniform. 5. Classroom efficiency is improved when students are placed correctly. 6. It is cost efficient and about 90% effective. This is for Individuals, who may wish to take the exam for their own reasons. and you want to take the web-C.A.P.E. for $10 USD. The following information is from The Official Literature of Perpetual Technology Group. Perpetual Technology Group (PTG) is the one and only licensee of BYU to administer the exam.